When I taught my second Family-to-Family class in 1995, a class participant gave me the idea of a parade. As we discussed advocacy, I pointed out that AIDS had existed for little over a decade at that point, yet there were already very successful nationwide fundraisers, television specials, parades, etc. to combat the diease. And this was a disease that at the time was considered shameful to have! By contrast, I said, mental illness has existed for millenia (as far as I know) but we families often feel too embarassed and ashamed to come out of the closet to demand services and understanding. 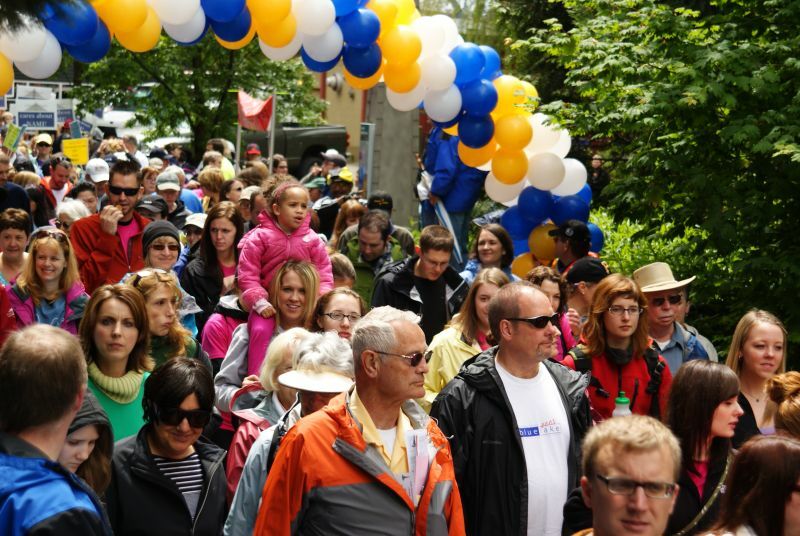 The NAMI Walk achieves 2,000 people marching on the Esplanade and the waterfront publicizing mental illness. I don’t know where that guy is today, but I hope he’s reading this. And I hope he shows up on the 22nd!